Up to now you may have stored all your documents and worksheets on your hard drive in your computer, or if you use a tablet or smart-phone you may have elected to use one the cloud storage services to overcome the problem of insufficient storage capacity on your device. As a member of Kapiti SeniorNet you may have been shown how to use OneDrive, Microsoft’s answer to cloud storage, but there are quite a number of other options well worth taking a look at. 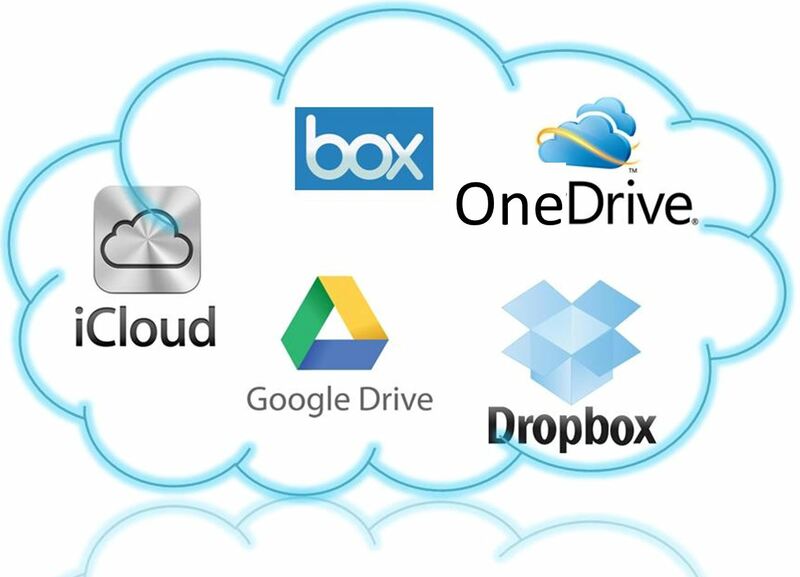 Names like Dropbox, Google Drive, iCloud, Box, and others like Just Cloud and Kim Dotcom’s Mega cloud storage and Amazon’s Cloud Drive are all offering free storage in various sizes, ranging from 2GB to 15GB…. and more if you’re prepared to paid for it. Strictly speaking the proper name for cloud storage is ‘file hosting service’ because it allows you to upload files which can then be accessed via the internet from your computer or computing device including tablet and smart-phone once you have authorised the access with your password. You can also share your files, like photos and documents, with others to whom access is granted, and you can even “earn” extra storage from OneDrive and Dropbox. If you are an all-Windows user then OneDrive works pretty seamlessly and is easy to operate. It’s also handy for Office software users because you can open and edit file content directly in OneDrive. To use OneDrive you must sign up to a free Microsoft account which also gives you access to Outlook, Xbox live and several other MS services (none of which you need to use!). If you are on Windows 8 then OneDrive is built into your operating system (and even set up as the default storage location). 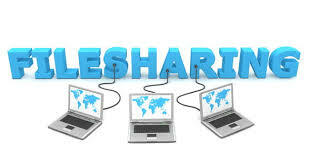 If you’re looking for something less Microsoft-focussed then Dropbox is a popular option for file sharing and storage. It’s easy to use and easy to set up and I’ve found it reliable for file sharing with family overseas who may not use the Windows Operating systems. You can also use it for file storage although their free storage is only 2GB, with extra being allotted for friend referrals – with the automatic photo upload feature activated, you’ll get an extra 3GB. Google Drive started out as Google Docs and is now a complete office suite with cloud storage competing with OneDrive and offering 15GB of storage which is shared with your Gmail account, photos (via Picasa), videos etc. uploaded to Google+ and whatever other documents you create in Google Drive. If you already have a Google account you can access Google Drive now. It’s available for both Mac and MS PCs and if you use the Chromium Operating System (on a Chromebook) then Google Drive is built-in. Google Drive suits users of Chromebook best as a cloud storage option. Box lets you store any kind of file and share it with other users, but is probably aimed more at business users for its collaboration tools and good file privacy setup. Amazon we all know as the site that sells almost everything and now it also provides storage for your music, videos, photos and documents, but with more than one storage plan separating photos and other kinds of files. There is no free storage provided unless you have a Fire phone or tablet or a Prime subscription. Lastly, there’s Apple’s iCloud storage. It comes with 5GB free storage, not a lot compared with other offerings, however, for those in the Apple ecosystem it is a true online storage solution. Just beware of the limited storage when putting your photos on the iCloud. It also serves as a backup solution to your iOS devices (iPhone & iPad). In reality, you can have cloud storage arrangements with several of these suppliers thus expanding your free allotment – you just have to remember what you stored where, particularly if you are sharing your files with others! This entry was posted in General Information, Trends and tagged Amazon, Box, Dropbox, Filesharing, GoogleDrive, iCloud, Just Cloud, Kapiti SeniorNet, Mega, OneDrive by Thor. Bookmark the permalink.